An inspirational story of determination and hard work in this weekend's Phnom Penh Post. Ann Sothida has come a long way, from a garment factory worker earning $50 a month to the country director of a multinational Fortune 500 real estate firm. From her plush office on the 9th floor of Phnom Penh Tower, Ann Sothida has a view up Monivong Boulevard to the gleaming steel and glass towers that mark the capital’s most expensive crop of commercial real estate. But it’s the plastic green netting that catches her eye. It’s everywhere. The capital’s transformation is as remarkable as her own. Last edited by CEOCambodiaNews on Sun Apr 01, 2018 1:49 pm, edited 1 time in total. Born in a remote village in Srei Snam district of Siem Reap province, Ms Lida, 26, said she remembered the day she cried, asking her parents to allow her to let her study in Phnom Penh. Her parents were scared that she would be alone in the city and did not want her to stay there. “My parents did not want me to continue to study in Phnom Penh, but Ms Huon Sathea assured my parents that I could stay with her family in the capital. She helped me all the way through. I finally arrived in Phnom Penh on the final day the university was accepting application forms. I made it,” said Ms Lida. “The biggest challenge most young girls in remote communities like mine are facing is that they do not know what they want. They have not been trained to shape their dreams,” Ms Lida added. “I am not giving up. I am overcoming the pressures on me and trying to prove to other girls that it is possible,” said Ms Lida. PHNOM PENH: Anger is not always a bad thing, at least not for 23-year-old Cambodian Catherine Harry. 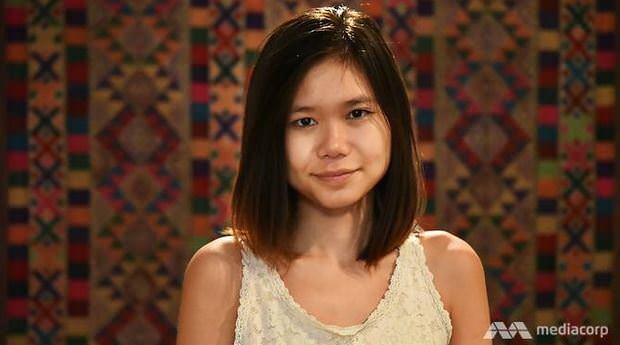 Such emotion has led her to be featured in Forbes’ 30 Under 30 Asia 2018, the magazine’s annual selection of young visionaries who tackle issues that matter in countries around the world. Born and bred in Cambodia, Ms Harry often gets angry about certain aspects of her culture. She finds several customs, social values and ideas that have shaped millions of lives in her homeland, oppressive towards women. In her eyes, many of them are victims of a patriarchal society, where women can be confined by what she views as outmoded conventions and biases. Yet, Ms Harry knows how to handle her anger. For more than a year, she has been turning her frustration about gender inequality into a growing collection of video blogs on her Facebook page A Dose of Cath, which currently has more than 200,000 followers and close to 199,000 likes. Most of the clips reverberate with her fierce passion for women’s rights and ideas about challenging society’s paradigm of how women should live their life. “I thrive on passion and anger,” said the feminist, who attends Pannasastra University of Cambodia. “I thrive on passion and anger,” said the feminist. Sounds a lot like back home! For anyone who's interested, or who knows someone who might be interested. More on promoting investment in Cambodian business women. 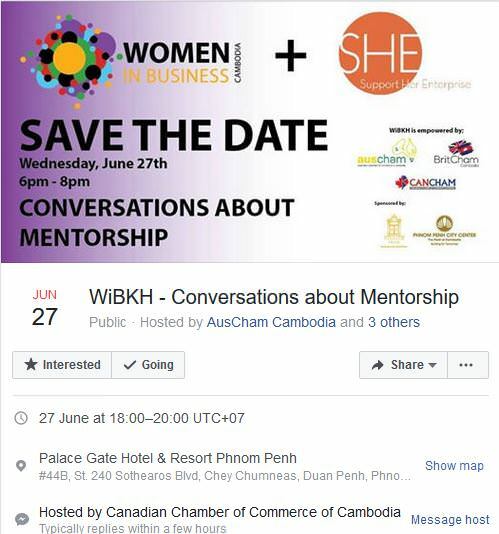 With SHE Investments growing so fast, how do you see the entrepreneurship scene for Cambodian women in 5 years? LL: I want to see more women financially capable of independently supporting themselves and their families. I would also love to see women express themselves more, sign themselves up for events and attend social networking events. Having more women featured in newspapers or magazines, talking about their leadership, and through that empowering other women. Hopefully, five years down the road, there will also be more women leading big corporate companies. What are some inspiring stories that motivate you? LL: In our pilot programme, we had a lady who ran a pig farm. She wasn’t confident about her business and only had three pigs. One year later, she had over 20 pigs living in a proper farm with technical tools, it was fantastic! She then became a community leader and inspired other women with her story. We had another lady that was from the accelerator programme running a solar energy startup. When she joined the programme, she was unsure of herself and unable to properly express her ideas. She was not confident with making decisions and could not perceive how her business will look like. After the programme, she completely changed! She now not only runs a big business and became a mentor and speaker about investing and pitching to investors, but also won a green energy award! 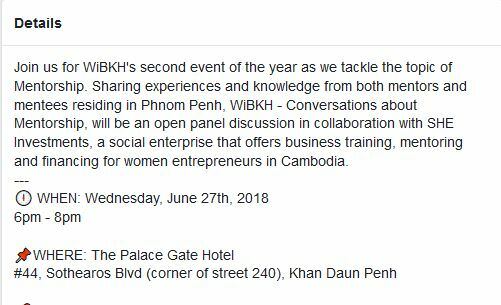 Kokopon is a new startup founded by three of Cambodia’s leading female entrepreneurs Sokneang Neng, Treng KuyChheng, and Bunnary Bour. The trio wanted to catalyze the revolution of Cambodian women entering the tech sector. As the country’s digital landscape continues to develop, Kokopon was envisioned not just to offer services to Cambodians, but also to demonstrate successful business startups to women in Cambodia. 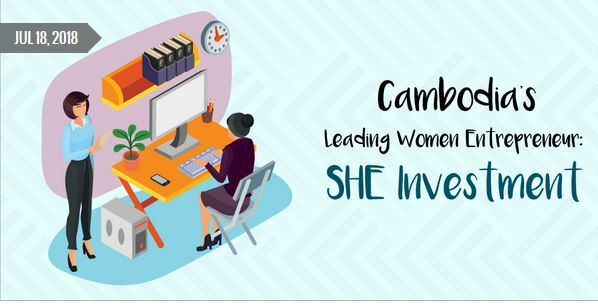 SHE Investment, a social entrepreneurship programme, has assisted more than 200 women to start small businesses. Since its launch in 2015, it has seen revenue grow more than 100 per cent, as shown on Thursday at its annual conference. The capital gathering focused on the topic of “Investing in Women”. 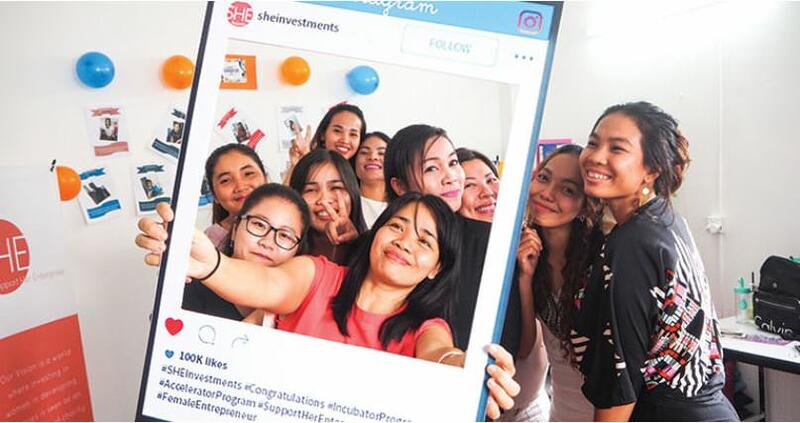 SHE Investments co-founder and programme manager Lida Leom said since 2015, the focus has been on giving women training programmes, consulting and financial assistance and even providing equipment for their business operations. Over the last three years, more than 200 women have been trained on how to start a profitable business. 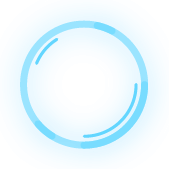 “We believe that investing in women is key to supporting family financial systems and bringing economic growth. Women face a lack of support, so we need to work directly with them through training programmes, consultation and building their confidence,” she said. SHE Investment is also able to help women source and buy equipment to use in business operations. Scientist working in Cambodian jungle observes water running geckos.